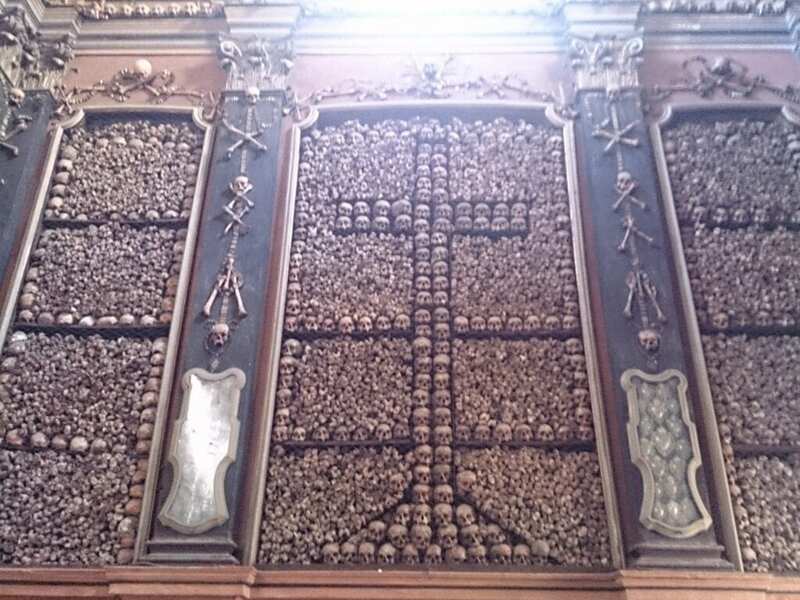 Being born at Halloween, since childhood I’ve always had an unusual fondness for the dark and macabre, so when I heard about the “bone church” San Bernardino alle Ossa I wanted to go see it. I went on a Wednesday morning, nobody was around in that part of town. 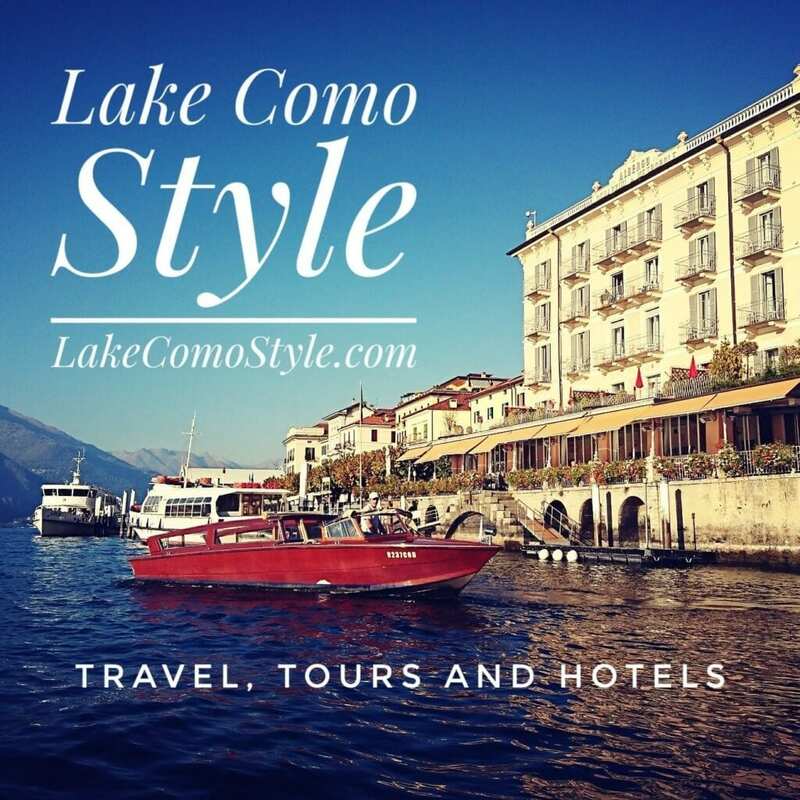 The address is listed as Via Verziere, 2 but it’s actually down a side street and in Piazza Santo Stefano. I went into the Santo Stefano church because it’s there in the center, (which is also a lovely church) but San Bernardino is in a smaller church next to Santo Stefano. There was a man sitting on a chair outside the door and he pointed me to the chapel. You have to go down a dark hallway, it feels like you’re going into a back office but once you get to the entrance the room opens up and the ceilings expand to the sky. You have to crane your head to see to the top and I have to admit, my jaw literally dropped. I have never seen anything like it before! Bones, yes, real bones are carefully positioned to create a mosaic wall piece. The walls are covered floor to ceiling with bones and skulls. The bones were taken from a nearby cemetery that at one point was too full and to make room for new corpses, and so as not to destroy them they were used to build the chapel. Legend says that in the small church of San Bernardino alle Ossa, in via Verziere, it is said that on the the anniversary day of her death a young girl whose remains are preserved there, appears annually. San Bernardino alle Ossa is a church in Milan, northern Italy, best known for its ossuary, a small side chapel decorated with numerous human skulls and bones. In 1210, when an adjacent cemetery ran out of space, a room was built to hold bones. A church was attached in 1269. Renovated in 1679, it was destroyed by a fire in 1712. A new bigger church was then attached to the older one and dedicated to Saint Bernardino of Siena.